During Advent and Christmas, many Christian families display a Nativity set, or crèche. Nativities throughout the world often look very different, featuring unique artistic and cultural traditions. 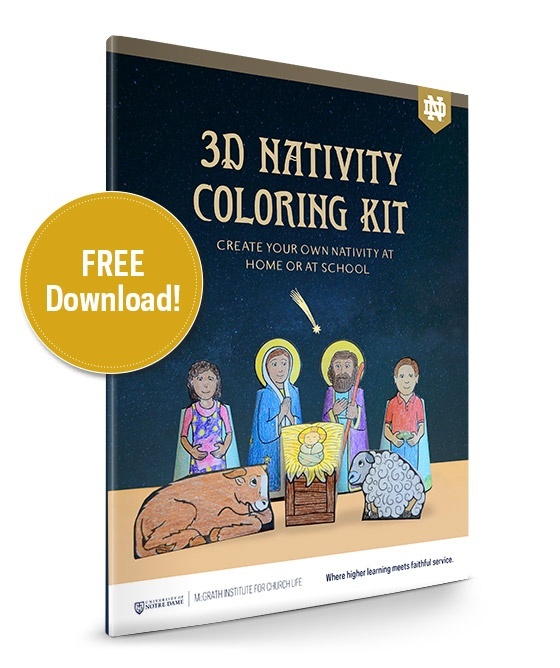 Use this 3D Nativity Coloring Kit to celebrate the story of the Incarnation in your home, classroom, or parish. Enjoy coloring and crafting your own nativity scene and let it be a reminder to thank God this Christmas for the gift of his Son, Jesus. The McGrath Institute for Church Life partners with Catholic dioceses, parishes and schools to address pastoral challenges with theological depth and rigor. By connecting the Catholic intellectual life to the life of the Church, we form faithful Catholic leaders for service to the Church and the world.